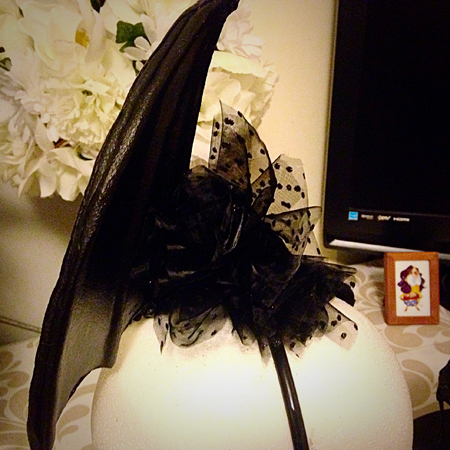 This gothic batwing cocktail hat is one of my all-time favorites! I used a combo of black craft paint and clear acrylic spray paint on worbla to achieve a very bat-like texture on the wing. Sadly, this is the best full photo I took before I shipped the hat to it’s new owner. I started by sculpting my pieces in worbla. 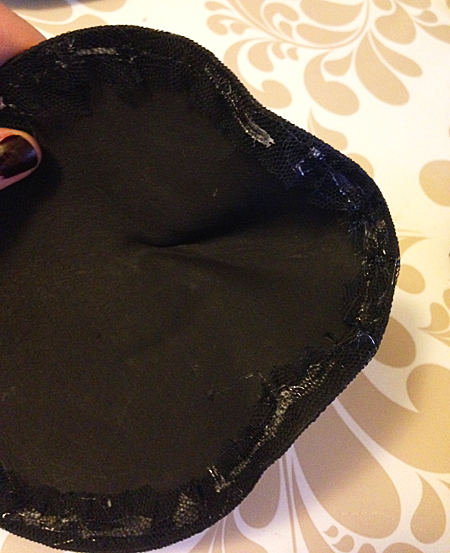 Then I painted the underside black and covered the cap piece first with felt and then with a swiss dot tulle. 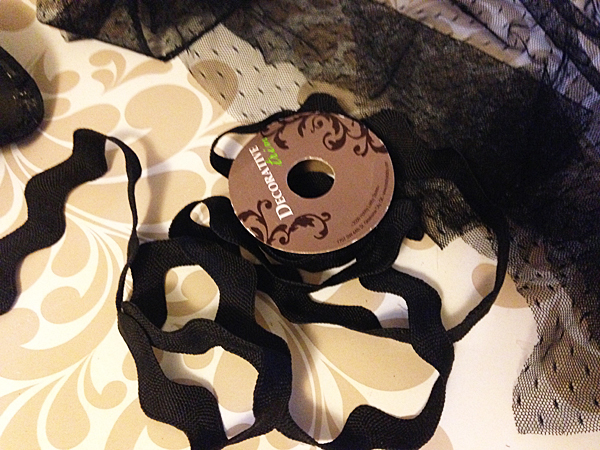 This left an ugly edge inside which I later covered with black rickrack. Once everything was painted and/or covered, I assembled all my pieces and some embellishments including rhinestones and beaded chains. 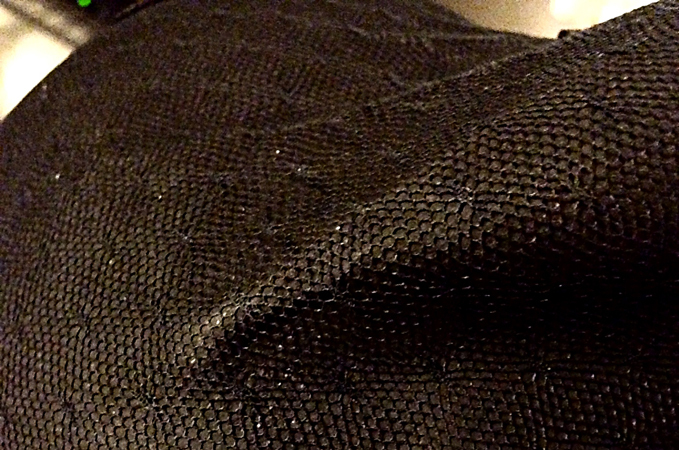 I finished it up with a spray of swiss dot mesh behind the wing. Seriously, I loved this cocktail so much it was difficult to send it away to its new owner! Previous Fancy Hunger Games Hats!!! Next Supermonster (and VileVillain) Plushies!